How is an inclined beam created in Advance Concrete? Then, use the "Bind elements to the roof or to the ramp" command, select the two structural elements and the result is an inclined beam. 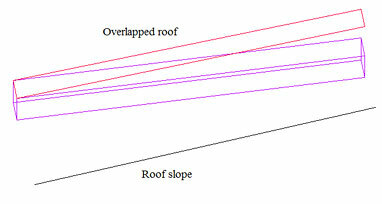 This method allows the user to modify the beam section of the inclined beam. 2. Another method to create an inclined beam is to add a new beam section in the library. The section must be defined by a polyline (closed contour) having the following dimensions: the beam height, length and slope. 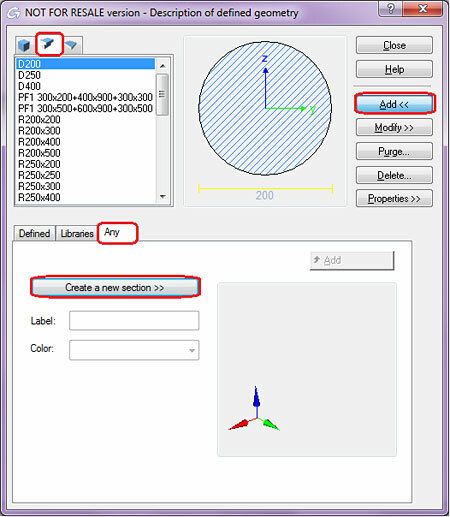 To create the new section use "Description of the model geometry" from the "Advance Project Preferences" toolbar. In the opened window, select the second tab, then click "Add", choose the tab "Any and select "Create a new section". After the polyline is selected add a label and add it in the library. Create a beam and from the Smartbar choose the saved section. It is very important to note that in this situation the beam width is the only dimension that can be modified.